← 2014 Where did you go? I just made the hardest phone call a pet owner can make. The final call to the vets for an appointment for your dying pet. In my case its my dog Mandy. 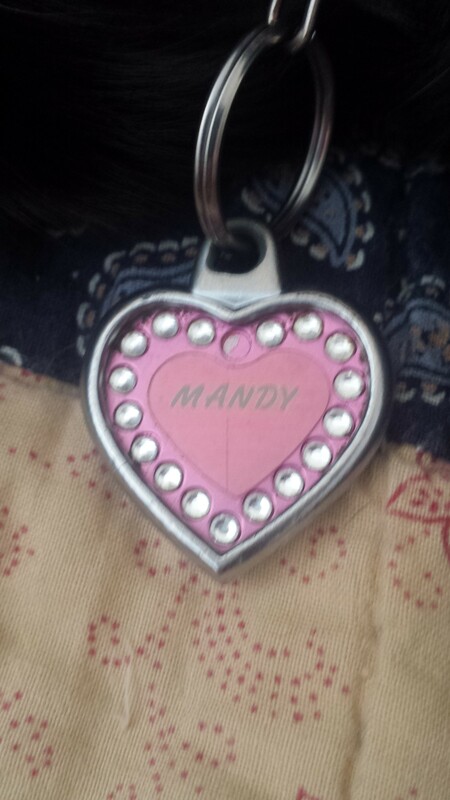 Mandy has been with me for 13 years. She’s had a good run. Healthy until this past year when she slowly declined until the last two months when she took a quick plunge toward anorexia due to liver cancer. I just made that call for Mandy. We go for one final drive at 5PM today to the place she hates. I was hoping for a peaceful passing in her sleep while she was curled up next to me in bed. But that hasn’t happened. She has not eaten anything of substance for days. Today nothing, Yesterday one scrap of bread the size of a quarter with maple syrup. The day before a small pancake. The day before that three slices of lunch meat. Its not for lack of trying. I’ve cooked her turkey, chicken, hamburger, pasta, sea bass, eggs, cookies and much more that I’ve forgotten. She’d eat each thing sparingly once. Then walk away like I was poisoning her. Last night she chewed on a McDonald’s hamburger, the crack cocaine of canine cuisine, and spit it out. She’s down to 35 pounds from a trim and slim 55 pounds. A walking skeleton. I’ve been getting up every one or two hours to put her out for a few months now because she can’t sleep or needs to go the bathroom. She’s stopped getting up so much the past few days. Too exhausted and weak. Last night and today I’ve had to retrieve her when she went outside and put her on and off the bed. She has nothing left to live for except my cuddles and that doesn’t seem like enough. Over the weekend she had continued to ask for walks. Walks are what Mandy has lived for. So we obliged. Taking her on short walks around the block. Yesterday she asked for a walk and then sat down when we got outside the garage. Fought and refused to go any further. Well meaning people offer their opinions. Friends pointedly tell me not to let her suffer, to talk to my vet, to let her eat anything she wants. My boyfriend told me last night on the phone that he doesn’t think she is ready to go. I cry over all this advice and try to figure out what is best for Mandy rather than what is best for me. Meanwhile here I am with Mandy who is a shell of herself, with untreatable liver cancer. She’s starving herself to death. I think frequently about what I’ve said I will do when I am old and ready to die and have no other options – I will stop eating – the one thing I will still be in control of. So I made that phone call. 2014 Where did you go?